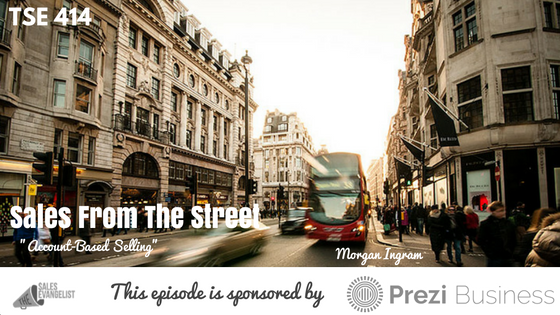 Today’s guest on Sales from the Street is Morgan J. Ingram, the Sales Development Representative (SDR) Team Lead at Terminus, a account-based marketing platform that helps B2B marketers. 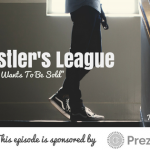 Morgan is giving us an overview of account-based selling and see if this would be something you can do, why this can actually improve your selling and increase your pipeline, and lastly, how to make sure you get results from it. This and more… happening now. Can anyone take part of account-based selling? Figure out your product and the solution you provide. Understand what industries you’re trying to get in front of. Figure what industries you need to get into that best fit with your product. Find out which companies that relate to the problem you’re trying to fix. Who do you need to target? Note: This can develop and evolve over time since companies develop over time too. Understand who the decision-makers are in the process. Identify who you’re targeting. Do the sniper approach over the machine gun approach. Tailor your message specifically for your key personas. Your messaging is going to be different for the different personas in an organization since the KPI’s of a demand generation manager are going to be different from those of the marketing managers. Their roles are different. So understand the industries you’re reaching out to so your message is tailored to them. Stay on top of mind as long as you can. Understand your tiers and focus on your A and B tiers. Tier A: Awesome customers you think you can have. You can see your competitors working with them or they’re the industry you’re looking at and has seen the most success in. Tier B: They have things that are not working or are not fruitful that you can provide a solution to. Tier C: They just don’t fit. Understand the science of what you can provide, how you can be human, and how you can get in front of them the right way and that’s on their terms. Some people who will never the phone but reply to messages on LinkedIn or Twitter. So think outside the box and understand the science of how you articulate your message different than your customers. Look at the specialization. Do more research on the company you’re reaching out to, their success and accomplishments, awards, etc. Use that information it and leverage it in a way outside the box. Use that as a story to lead them to where you need them to go. Be disruptive in a sense that they pay attention to you have to say. You are different from the market that they would have to take time in response to what you’re saying. Understand your industry and be in the head of the person on the other side of the phone. Make sure you’re reading the current trends of the market you’re in and your role to continue to grow and get better. Understand the problems and solutions you provide. Connect with Morgan on LinkedIn, Twitter @morganjingram and Instagram. Check out Morgan J. Ingram’s YouTube Channel, The SDR Chronicles where he talks about his journey as an SDR and get some tips and tricks from him. Create interactive presentations that customers will enjoy and remember. 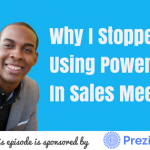 Get a full demonstration of Prezi Business and see the power it has in action. Just go to www.prezi.com/TSE to help you tell more compelling, value-driven stories to your prospects. Get your team together and look at it.